about this book: A spell inadvertently creates a tear between the realms and unspeakable beings entering our world. Aodhán, the Fire Guardian is sent to uncover the source. His quest leads him to Danni, a beautiful American who he discovers is a Cauldbearer, a wielder of magic. 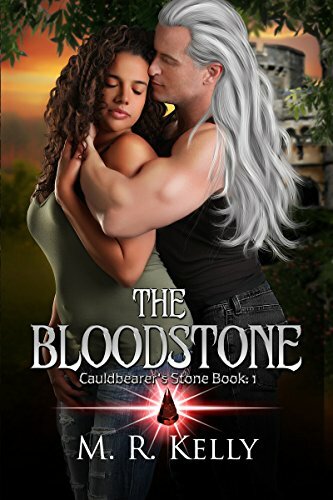 Only she is unaware that she holds the entire realms in the palm of her hands and she is being stalked by the demonic others—fallen Sidhé and Angels who will do anything to capture her and use her ability to direct magic using the Bloodstone. The paranormal has been a way of life for her from early childhood and delves into her past experiences living in a haunted house in Mississippi. Subsequent research has expanded her knowledge of ancient rituals and folklore. I want to welcome my readers to a world of Sidhé, Demons, Space Pirates, and Adventurers from between worlds and throughout the Universe. I hope you will fall in love with the women and gorgeous men of my novellas. Please follow me on my website.